We welcome you to submit a Request for Quote for any of these manufacturers. 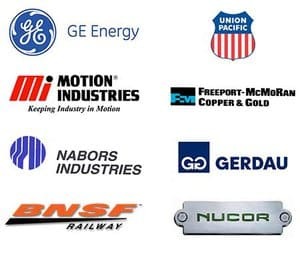 Keep in mind that we represent dozens of other manufacturers in the industrial arena so please reach out to Kor-Pak if there is something you’re looking for that isn’t on the site because chances are we can find it for you. And if we can’t we can help you locate the right person to assist you. When submitting a request for quote we highly recommend that you include as much information as possible. As they say, “A Picture Speaks a Thousand Words” so if you can include image(s) of equipment you are looking to replace, nameplate data, descriptions of what you want, or any other pertinent information then that will bring us one step closer to helping you find the solution you are seeking. Are you looking to buy a product with minimal interaction with a vendor? Then contact us. Are you looking for a vendor who will interact with you and directly engage your project with enthusiasm and dedication and will go to any length to solve your problem? Then definitely contact us! We thrive on service, and when it comes to niche/esoteric industrial products and applications where there is a “third dimension” involved then Kor-Pak truly thrives and differentiates itself from its competitors.